We help anxiety suffers find calm within the chaos. Anxiety therapy is the most common form of therapy sought by those who call for a psychotherapy appointment. Anxiety can be painful and even crippling, dramatically interfering with one’s ability to create one’s life. It’s almost impossible to not experience anxiety at some point or another in our stressful and hectic lives. Family, careers, finances, health problems, school, life adjustments, and many other factors can contribute to our stress and anxiety. Anxiety comes in all shapes and sizes. Is your mind aways on the GO? Do you find it impossible to relax? Do you feel anxiety interfering with your sleeping patterns, eating habits, day-to-day functioning, job, or school activities? Have your relationships suffered because you had to cancel plans? Do you experience tension in your body, pressure in your chest, seemingly irrational worries or intrusive thoughts, or routine irritability or frustration? 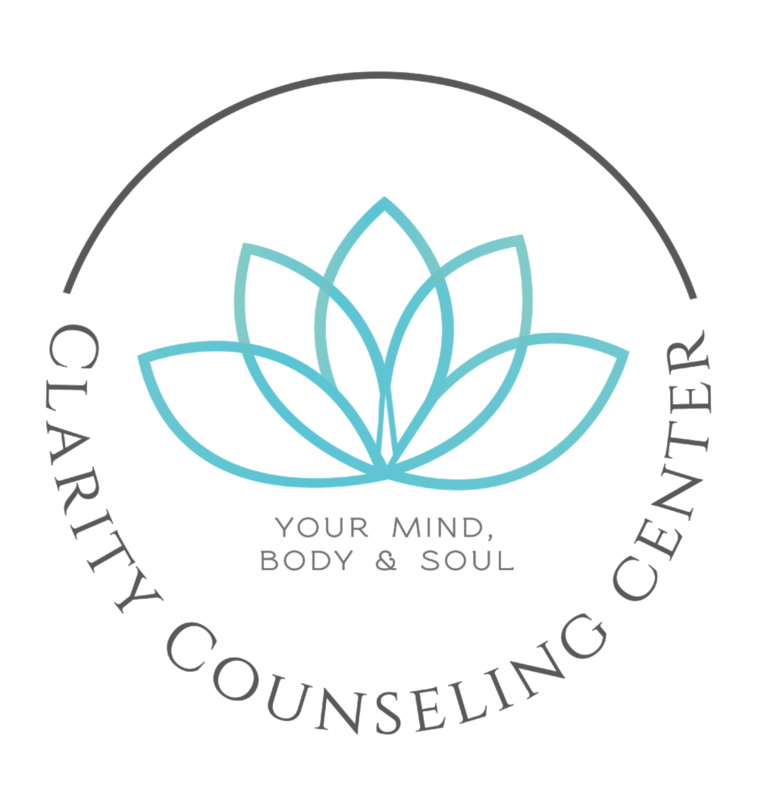 If so, our therapists at Clarity Counseling Center are qualified to help you develop the skills to manage your anxiety and feel some much-needed relief. You don’t necessarily need to be experiencing most of all of these symptoms to be suffering from anxiety. Even just having three or more of these symptoms may indicate that you have an anxiety-related issue. Generalized Anxiety (GAD) occurs when you experience realistic but excessive worry about everyday things like work, family, school, health or money. You may feel like you get stuck in a worry cycle and it’s uncontrollable. Panic Disorder is the experience of intense panicky thoughts and bodily sensations, and then subsequent fear of having another panic attack as well. Social Anxiety is characterized by intense worry and fear about the judgment or evaluation by others. Post-Traumatic Stress Disorder (PTSD) is related to a past trauma where you felt your life or that of a loved one was threatened. Phobias are fears of specific things, places or people. Obsessive-Compulsive Disorder (OCD) include obsessions and compulsions. Obsessions are thoughts that are unrealistic, irrational, excessive and uncontrollable. They are accompanied by compulsions, which are physical or mental actions done to reduce the anxiety caused by the obsessive thoughts. There are many things that you can do in your very own home and day-to-day life to help manage your anxiety. Exercise is an excellent way to get those endorphins flowing in your body and break down stress cortisol, so how about a walk around the Loop at Wrightsville Beach? Healthy sleeping and eating habits are also crucial – the healthier your body is the better it works, and the better it works the less you’ll experience anxiety. Relaxation techniques like deep breathing and visualization can also help you cope with anxiety. These strategies give your mind an opportunity to be calmer, so that you have a chance to re-learn how to cope with stress naturally. The above “home remedies” can work well for mild to moderate anxiety symptoms, but if your anxiety symptoms are becoming more severe you should consider professional treatment. At Clarity, our therapists use evidence-based treatment methods such as cognitive behavioral therapy (CBT) that can significantly reduce or eliminate symptoms of anxiety in a relative short period of time. Our therapists will work with you to help you understand the underlying causes for your anxieties and fears, as well as provide you will the tools you’ll need to learn to relax, regain some control in your life, and begin moving forward with confidence and optimism. You can expect to receive psychoeducation about anxiety, gain more understanding about your anxiety through self-monitoring, explore relaxation strategies, learn strategies to take control of your thoughts, and discover problem-solving tools for facing yours fears and anxieties. If you or someone you love is suffering with anxiety, schedule online today to forge ahead to a brighter future!